This was an exhibit that was part of the textiles at Burrell collection, Glasgow, Scotland. We were on a short visit. 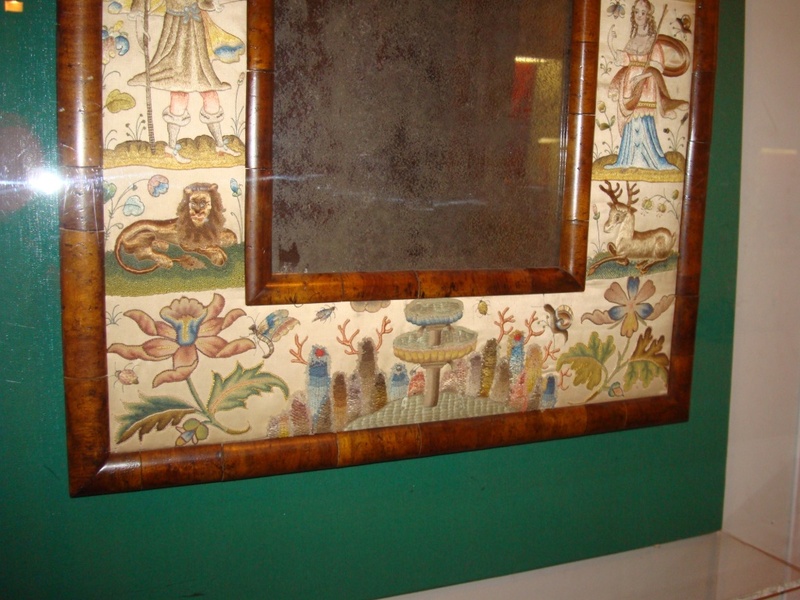 There were these mirrors with embroidered frames. I think the embroidery was done on satin silk and never have I seen or read anything like that before. I was quite enchanted with it. 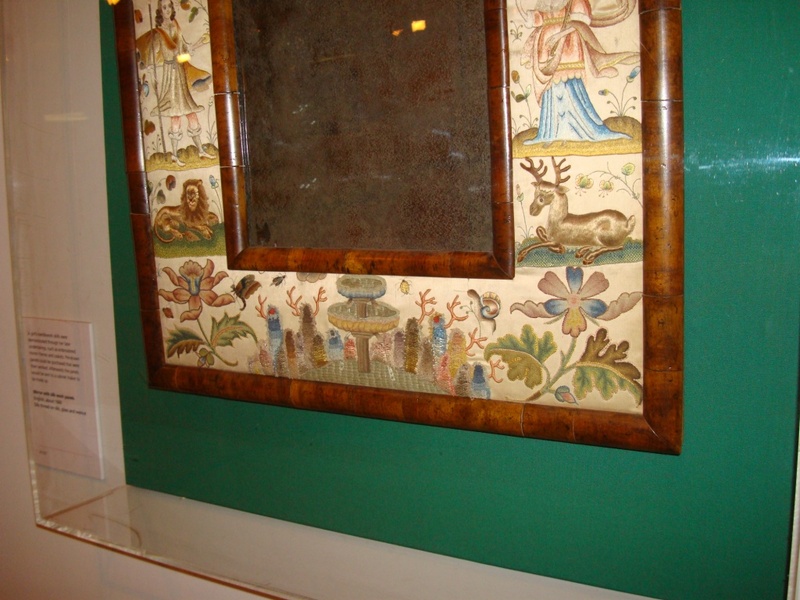 Castle, plants, animals, trees and people were all embroidered on to this. 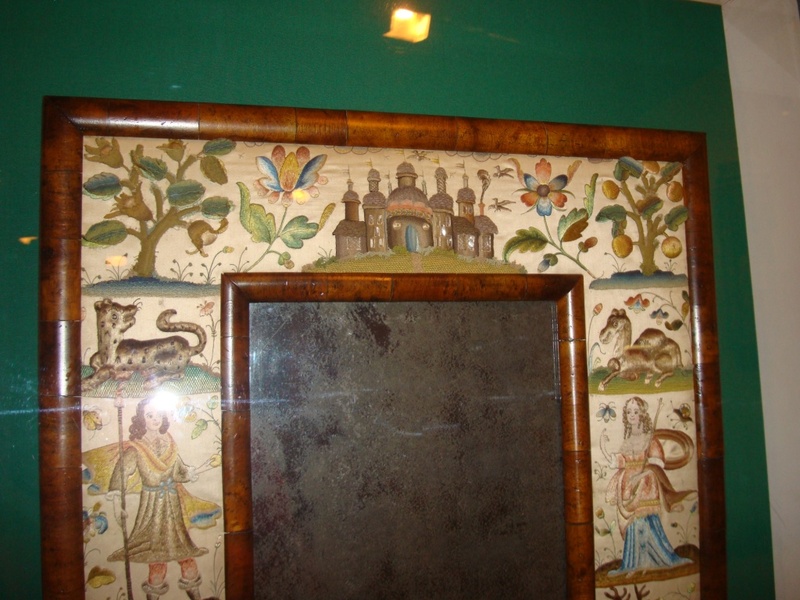 The bottom part of the mirror, which also had animals, garden and plants. Another view of the same mirror. This definitely inspired me, now all I need is the motivation!